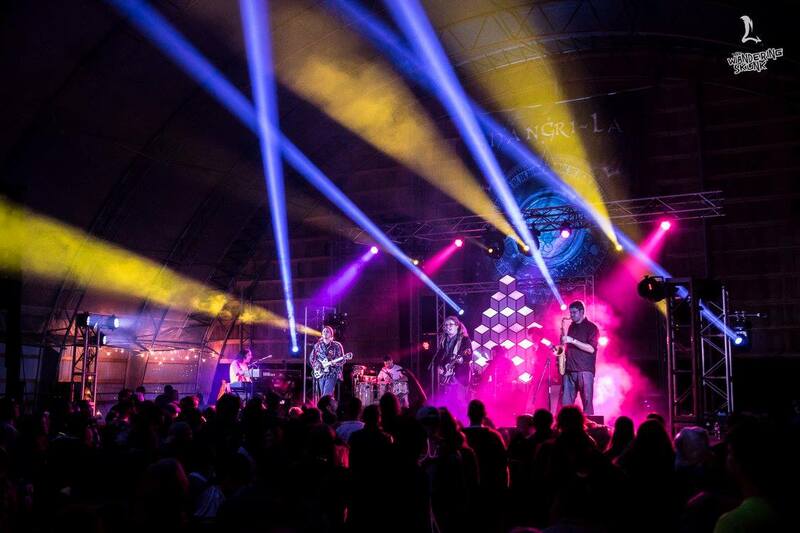 Live concert Build by Henley Audio at the 2015 Shangri-La Music Festival, featuring Harmony Park Music Gardens new Pavilion Stage. To provide a high-fidelity experience to the concert attendees, Henley Audio utilized a JBL VERTEC VT4886/VT4883 PA System powered by Crown V-Racks with iTechHD amplification. Using the JBL Line Array Calculator software we were able to pinpoint optimal acoustic coverage of the venue, while minimizing reflections from the roof structure and sound limitations of the venue. fabulous state of the art JBL sound !